For this month’s mystery, we’d like your thoughts on this image: what’s going on here with the design appearing in different spots on these two books? What is it, what does it mean, why might it appear here? Share your thoughts in the comments section! They look like the witches marks often found carved into the roof beams of old houses for protection. Do both books happen to be geometry/math related? The design of seven circles (“Tree of life”) can be easily done using a set of compasses. The readers of Math/geometry books are the sort of people you would reasonably expect would have a pair of compasses handy, especially if they are working out/copying problems featured in the book. 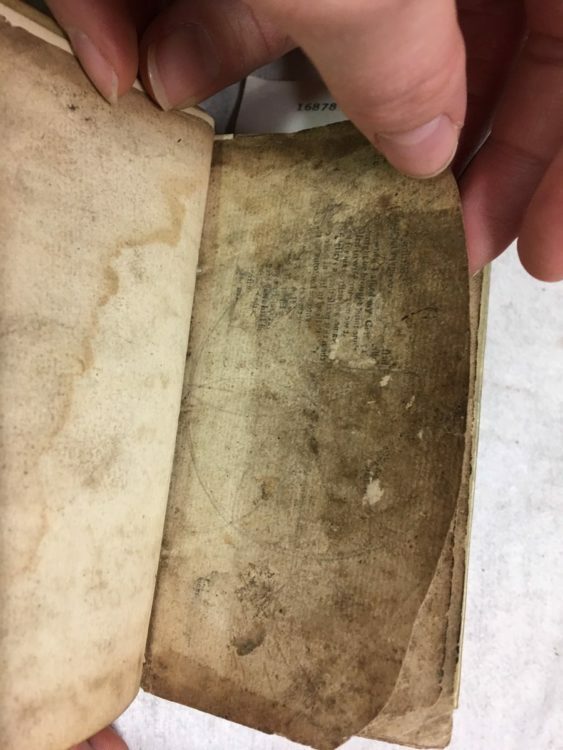 According to Hamnet, STC 11011 copy 2 is bound up with two other texts, and STC 16878 has been rebound (and the page in question doesn’t seem to be part of the book proper, judging by the way the print is angled), so perhaps the contents aren’t really what matters here. As a wild guess, could it be something to do with bookbinding, i.e. 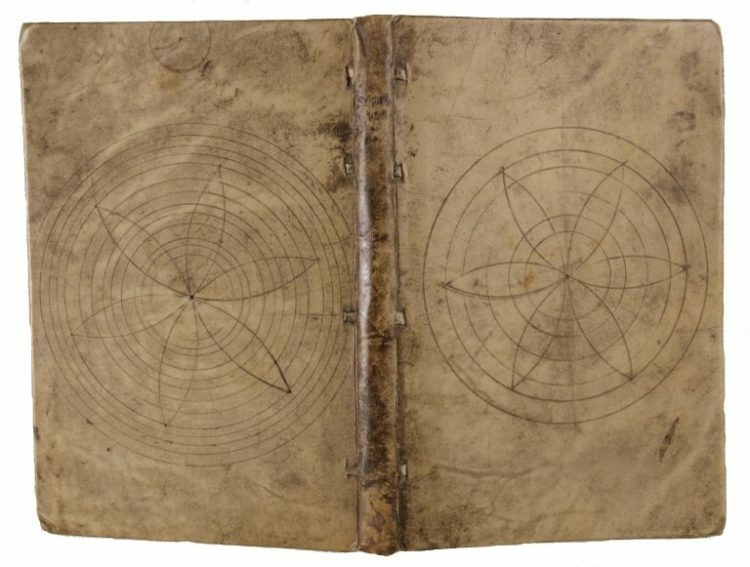 did the bookbinders use the design to help with measuring out the right size of vellum / paper when books had to be rebound, or something along those lines?